In today’s Destiny 2 patch, Xur’s Fated Engrams were updated with a chance to drop Forsaken Exotics. But there was one extra little bonus – the loot pool on all platforms included what was supposed to Forsaken’s PlayStation 4-exclusive gun. A number of Xbox One and PC players managed to pick up the Wavesplitter, and while it’s briefly usable it won’t be for long. After the latest Destiny 2 update, a bunch of players across platforms noted on Reddit that they’d picked up the Wavesplitter, complete with screenshots for proof. A short time later, Bungie acknowledged the situation on the official forums (via Kotaku). Those players won’t have the item taken away, but it’s going to be rendered unusable for the next five months. September will mark the one-year anniversary of Forsaken’s release, which fulfills the usual year of timed exclusivity for these extra bits of PlayStation content. 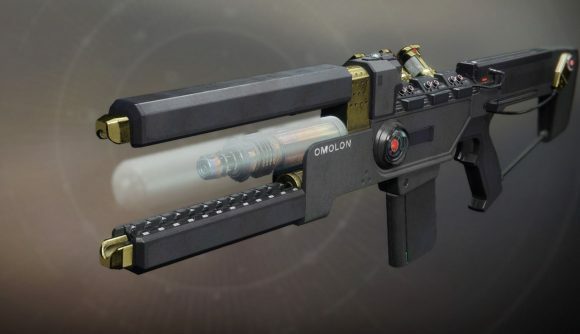 Wavesplitter has always been especially notable in Exotic pool, as it’s generally regarded as one of the best weapons in the game, particularly in Crucible. At least PC (and Xbox) players will be able to hang onto the gun until it’s live, but it’s going to be an awful recurring taunt sitting in inventories for all that time.